KR: It was an okay day, but not a very easy one for us. I got a bad start and then I touched with a Force India at the second corner so I lost a few more places. After that the car was okay and I could get past some of the others. The difficult part of the race was when it became cloudy. It got too cold and the tyres stopped working for me. Then it was sunny and they started to work again, so really we were just depending on the tyres and that’s what made all the difference. I’m still 3rd in the championship and we’ll do everything we can to maintain this position until the end. KR: Yes it was good, but unfortunately at that moment it was cloudy and the tyres stopped working, so it was difficult to hold him off and I knew he would get me at some point. That’s how it goes. As I said, we’ve struggled with the tyres all weekend; we set good times at the start of the race with the softer tyres, but lost the heat with the hards in the middle of the race and then they picked up again at the end. KR: The circuit was giving good racing. There were a lot of places to overtake so overall I think it was good. For us the issue was just keeping heat in the tyres. One step forward, two steps backwards. Lotus are crap! Kimi is just being polite. The race in Austin offered so many magnificat moments, thanks to Kimi! That´s true, we have to be more patient and let the Lotus grow up:) Fortunately we can see, the course is right and cooperation with Kimi perfect. The better results are coming – that´s the fact! Lotus are the best of the rest after the top 3 (Ferrari, McLaren & Red Bull). They would be higher in the Constructors if Romain had finished in the points in more races (or finished at all!) 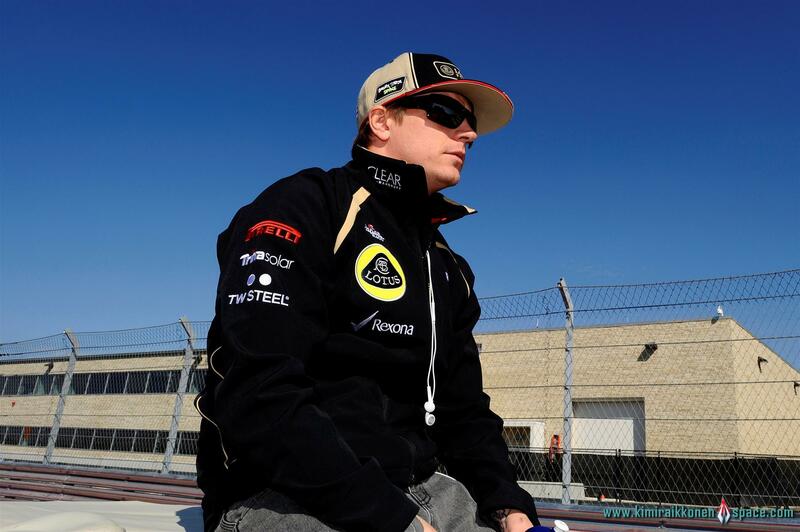 I can’t see Kimi getting the freedom he enjoys with any other team. I’d rather have him in F1 at Lotus than not in F1 at all. I think Lotus & Kimi are already stronger together from a mixed year & next year they will be pushing the top 3 all the way. You don’t learn anything if mistakes aren’t made & progress grows from difficulties. Lotus pit-stops make me cry, all year long. Was so frustrated 😦 Would have been a podium.